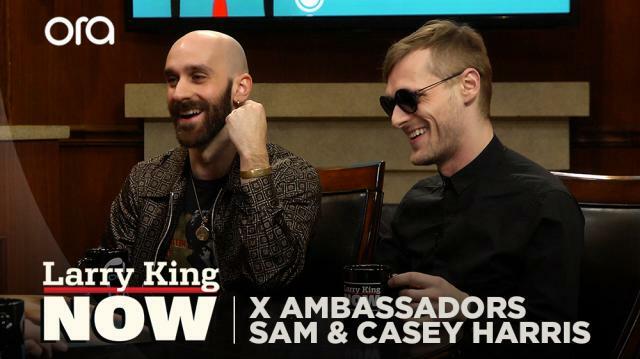 X Ambassadors bling Larry King out! In an unexpected moment during his appearance on ‘Larry King Now,’ X Ambassadors lead singer Sam Harris lends Larry a very unique looking ring! Larry King: Gotta ask you before we leave, is that one ring or three rings? Larry King: You put it on two fingers? Sam Harris: Yeah, you put it on two fingers. See if it fits ya. Larry King: Uh-huh, like The Black Onyx. Casey Harris: Oh yeah, that's what I'm talking about. Larry King: I like that.